I’m having a total hip replacement! 1. Why do you need a new hip joint? Several years ago, I had a tear of my labrum – a ligament in the hip, much like the rotator cuff in your shoulder. This torn ligament caused irritation, which in turn caused arthritis to eat away at my joint. I’m currently without any cushioning in my hip, “bone on bone”. It hurts A LOT. 2. How long have you known you’d need this? I knew about three years ago that I’d end up getting a new hip, eventually. 3. Why did you wait this long? I seriously considered having my joint replaced last year (2013). After a visit to my doc, he asked if I’d like to try a different pain killing pill to try and put off the inevitable a little longer. I said “yes” I’d try the new pill (well, it was new to ME, not a new drug). I started taking two Diclofenac every day and WOW what a difference it made! I felt so much better, I decided to hang on to my own joint for a while longer. Plus, we had a LOT of traveling planned (and paid for). We had a big family vacation last May/June in Palm Springs. Then in early September, we had a Mediterranean cruise planned for just over two weeks. In October we had plans to travel back to Palm Springs & stay till January 1st when we’d start our cross-country RV trip. We accomplished all these wonderful travels and returned home just last month. 4. Have you tried anything else? Yes, I took the Diclofenac until May of last year (with great pain relief) until I found out that it had adversely effected my liver. My liver enzymes shot up (they had always been normal before), and I knew it was a result of this drug. I had to stop taking it. When I quit taking it, – no surprise – the big time pain returned. I also had a cortisone injection in this joint about 3 years ago. That was a miracle pain killer – for about a MONTH. Then it was all back with a vengeance. 6. What sort of prep do you need to do, prior to the big day? I must say, our local hospital and the joint replacement center specifically, are VERY organized. I received a notebook of information about an inch thick. I have exercises to do, a class I had to attend with my “coach” (hubby), instructions on how to prepare our home, equipment I will need for a few months afterward, etc. They even encourage you to eat healthy foods, high in protein and iron – which I’ve been trying to do. 7. Are you worried/concerned/freaked out about it all? At this point, I’m truly not. On the day of the surgery I have no doubt that I’ll be nervous for sure! 8. What about the pain? Pain is no fun. I’ve been in A LOT of pain now for a long time. I know I’ll get a “PCA” for the first few hours (patient controlled anesthetic) and afterward, I hope they’ll find a pill that’ll work for me. I think I’m more worried about the nausea, but they have medicine for that as well. 9. How long is the rehab? From what I’ve read and heard, I will have to be very cautious with my new joint for three full months. I’ll be going to physical therapy twice a week for a few weeks. I’ve also heard that I could be feeling pretty darn good and fairly mobile in a couple weeks. Hubby was, with his hip replacement. I hope and pray I am able to do as well as he did. 10. What do you hope to gain? I hope to be able to walk a block or a mile or more, without being in crippling pain. I hope to be rid of this awful limp that makes me look like I’m 95 years old! I want to be able to reach my right foot again, clip and paint my own toenails again! I want to be able to bend over, feed the cat, put on socks and pants without a huge struggle, get in and out of the car like a normal human, and get back to KAYAKING again!! 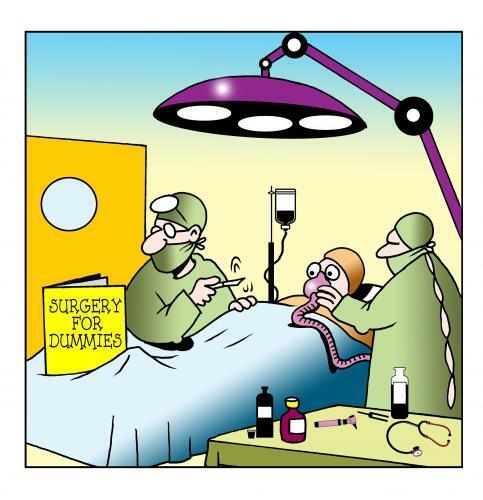 This entry was posted in Hip replacement surgery and tagged hip replacement surgery, surgery. Bookmark the permalink.